Enjoy the timeless charm of hardwood flooring with contemporary ceramic durability. The Daltile Parkwood Cherry Ceramic Floor and Wall Tile delivers a classic wood grain visual with a smooth surface, a perfect upgrade for any room without the hassle of wood maintenance. This large-format, glazed design mimics the beauty of natural wood while providing the longevity and strength of easy-to-clean ceramic, suitable for both commercial and residential installations in a variety of patterns and layouts. 10.89 square feet, 11 pieces per case. Case weight is 39.06 lbs. Learn how to install ceramic and porcelain tile here. 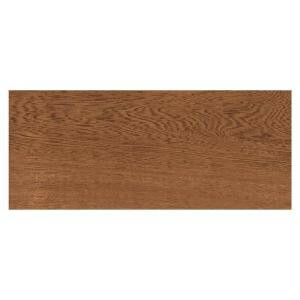 Buy online Daltile Parkwood Cherry 7 in. x 20 in. Ceramic Floor and Wall Tile (10.89 sq. ft. / case) PD14720HD1P2, leave review and share Your friends.